There are so many beautiful places in this world. From surreal to serene you can find it all. Of course beauty is in the eye of the beholder and accounting for individual taste is almost impossible. Nevertheless, here are 12 destinations that are gorgeous and amazing and should be on everyone’s must-see-list. 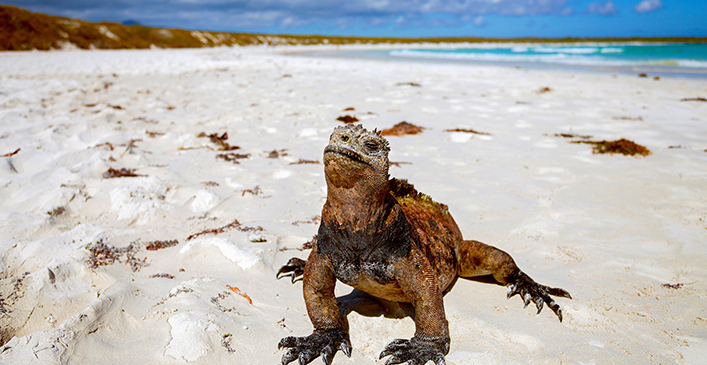 One of the most famous wildlife watching destinations in the world is the Galapagos Islands. It was here that Charles Darwin formulated his theory of evolution by natural selection. Composed almost exclusively of volcanic rock, each island has its own distinctive character, climate and wildlife. Because the islands have been isolated from mainland for millions of years, wildlife here have no instinctive fear of humans allowing for close encounters with pink iguana, blue-footed booby, giant green tortoise, sea lions, penguins and so much more. This is an outdoor adventure that shouldn’t be left off of any ones bucket list.